Tero Saarinen’s works have captivated audiences and critics in 40 countries, including at BAM & The Joyce (New York), Chaillot & Châtelet (Paris), Southbank Centre (London), Movimentos Festival (Germany), New Zealand International Arts Festival, and Saitama Arts Theater (Japan). The primary aim of Tero Saarinen Company, founded by dancer-choreographer Tero Saarinen in 1996, is to promote a humane worldview and basic human values through the language of dance, while also increasing people’s understanding of their own physicality and its significance for a good life. Choreographer Tero Saarinen is known for his unique movement language that plays with balance, and off-balance. His choreographic style reflects influences ranging from Butoh and martial arts to classical ballet and Western contemporary dance. His works, which have won wide international acclaim, are characteristically total artworks: combinations of strong performers, striking visuals and, often, live music. The company is in permanent residence at Helsinki’s Alexander Theatre – the former home of the Finnish National Opera and Ballet, where Saarinen started his career in the 1980’s. 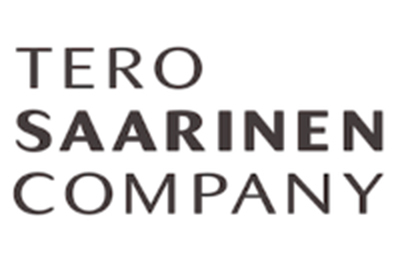 Tero Saarinen Company provides work for about 80 individuals each year, eleven of who have permanent posts. The Company’s operations are supported by Finland’s Ministry of Education and Culture and The City of Helsinki. In recent years, the group has also developed its operations with project funding received from the Culture Exportation Division of Finland’s Ministry of Education and Culture as well as the Finnish Funding Agency for Technology and Innovation.